The Muse Is In: An Owner's Manual to Your Creativity outlines how to power up one's genius, take it for a test drive, troubleshoot problems along the way, and offers tips for proper care and maintenance. 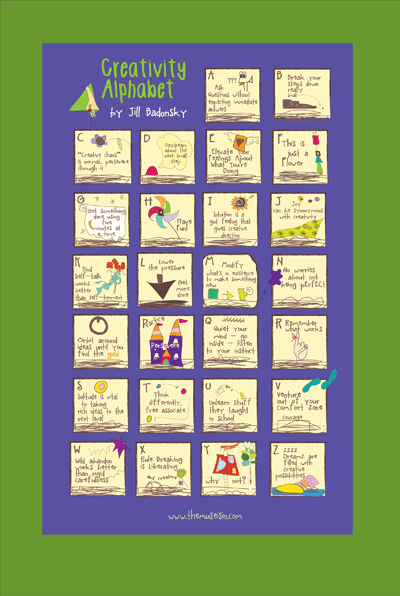 With her dazzling illustrations and quirky humor, Jill Badonsky delivers the operating instructions for helping her fans spark their creative passion. This is the third edition of a popular book published in 2003 now updated expanded with new sections. These modern day Muses provide empowering, playful but practical tools and concepts, quotes and a dazzling experience of returning to, deepening or discovering ones creativity. 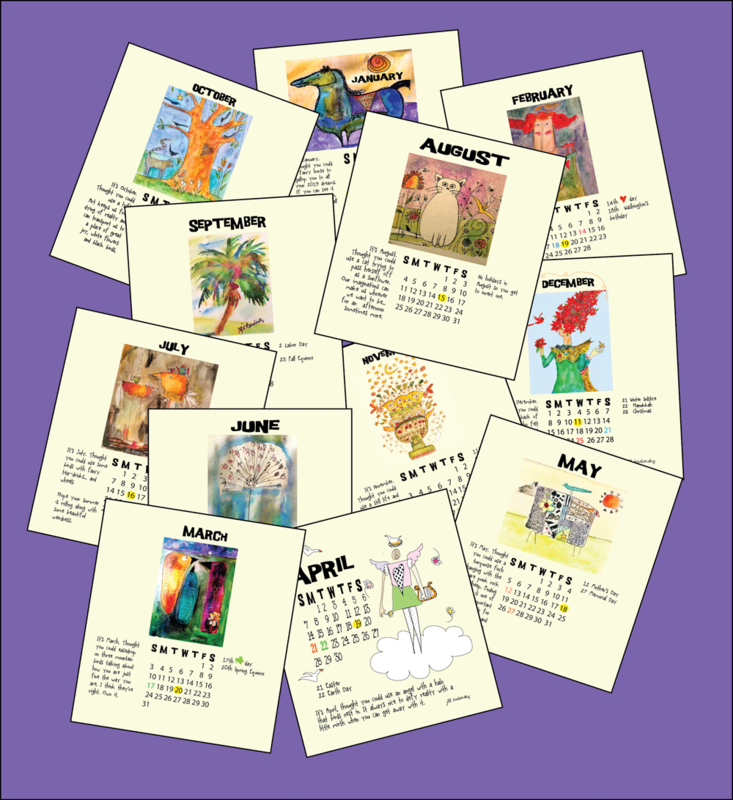 A playfully practical guide that’s a refreshing twist on the revered Farmer’s Almanac, The Awe-Manac provides daily forecasts and directives to help readers make life more creative, amusing, gratifying, and extraordinary — every day of the year! Introducing the practical and inspirational guide to incorporating Kaizen and its powerful principles into one's daily life. Rooted in the two thousand-year-old wisdom of the Tao Te Ching — "The journey of a thousand miles begins with a single step" — Kaizen is the art of making great and lasting change through small, steady increments. of how creativity can inspire you. Or send as a gift to someone you think might need a little inspiration.